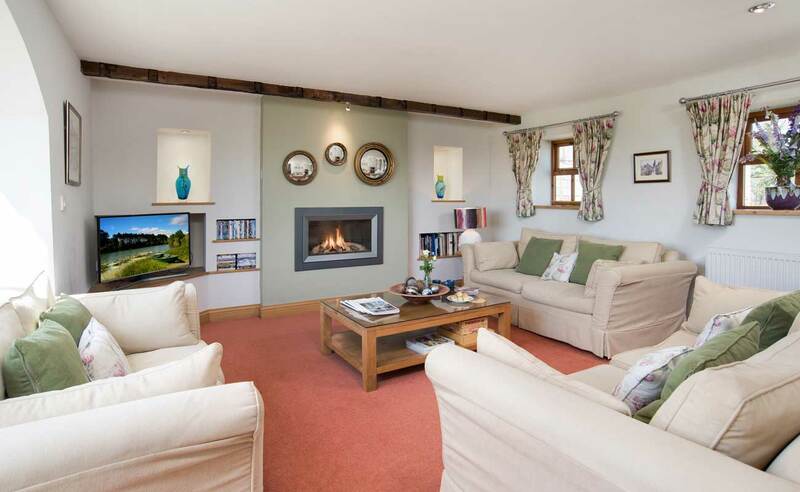 Set in tranquil open countryside with beautiful rolling views. 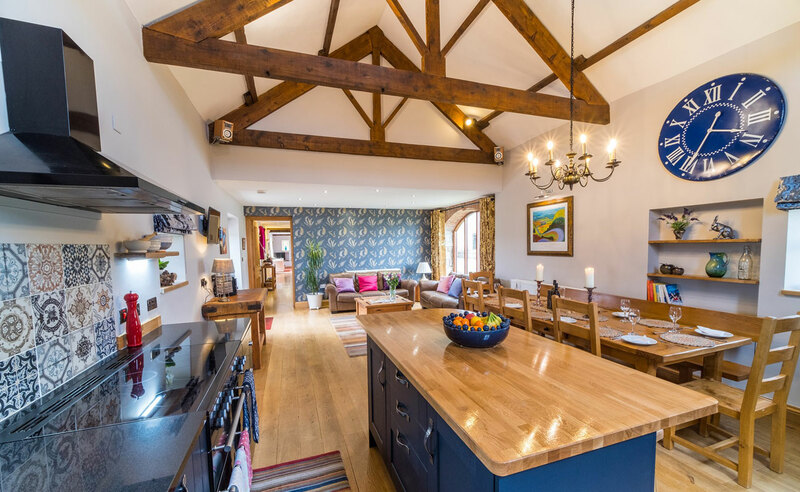 The Granary is amazingly spacious with open beams throughout. 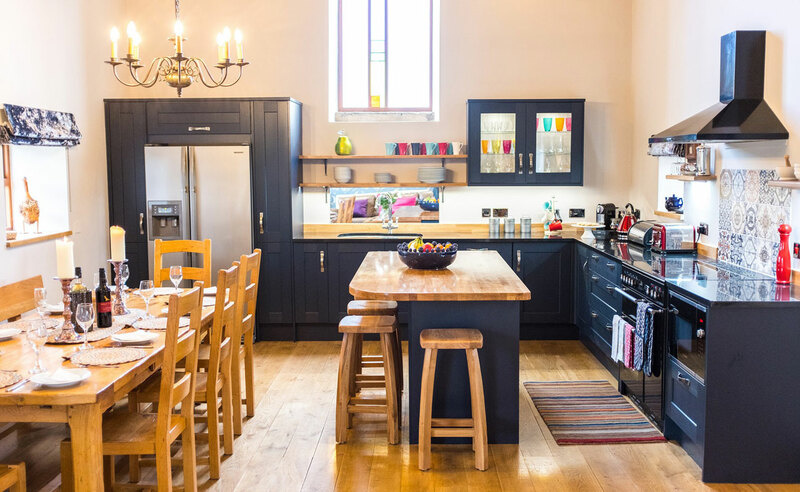 A superbly appointed 45 square metre kitchen with granite worktops, oak floors, range cooker, American-style fridge, large oak table seating ten guests, snug area with coffee table and wonderfully comfortable sofas to sink into. 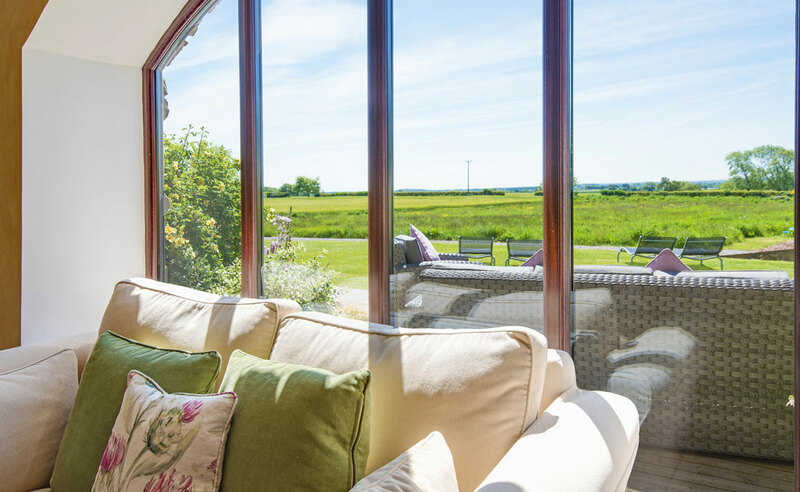 This opens onto the patio and large lawn and beyond a one acre wild flower meadow which is teaming with wild life. 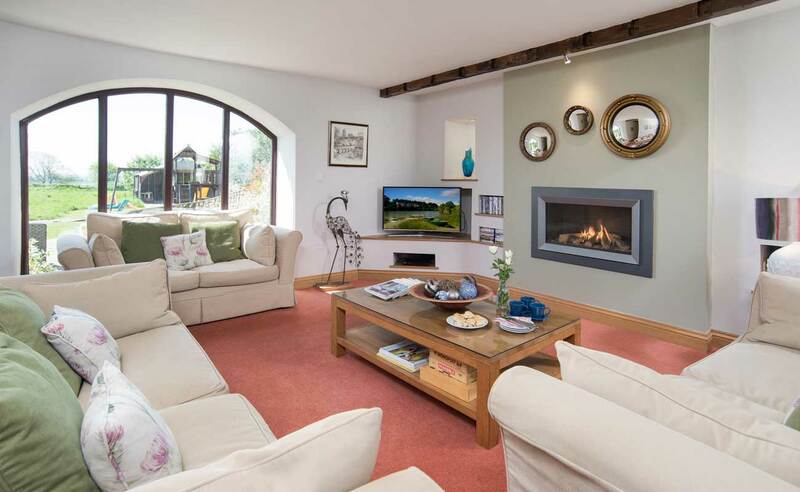 There is a separate stylish lounge with contemporary gas fire and large sofas. Relax in your private hot tub and watch the stars go by. 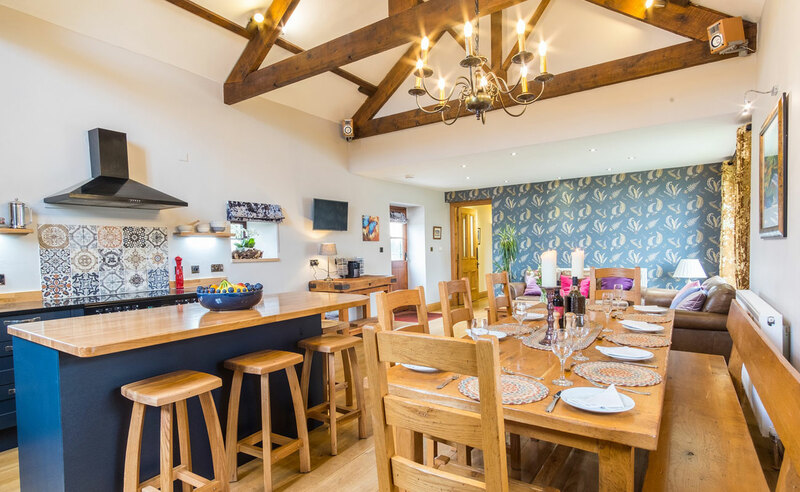 Sleeping up to 8 guests, the Mill Granary is an extremely large and spacious property ideal for larger party bookings or family excursions. 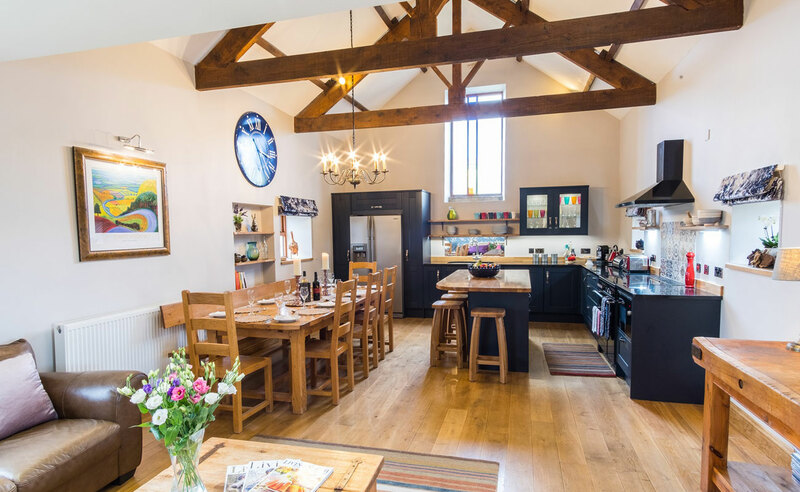 Boasting an impressive oak and granite kitchen with seating ample for ten guests and overlooked by a beautiful large stained glass window, the property is open beamed and full of character throughout. 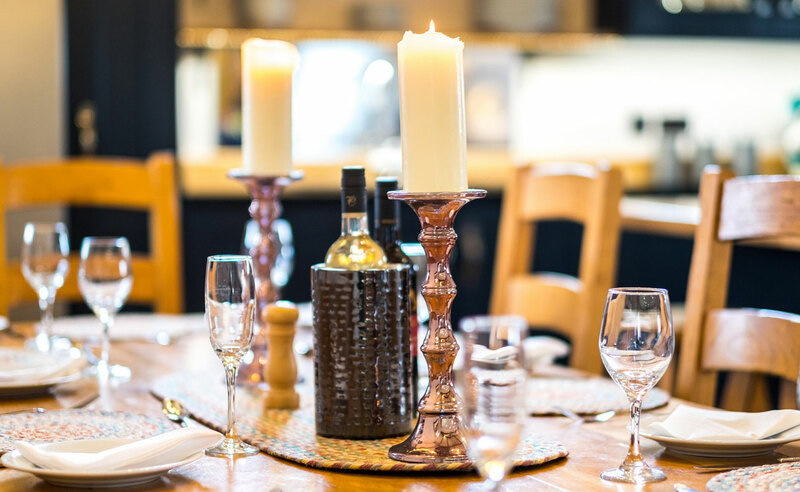 Leading off from the kitchen is a snug area with TV and sound system, ideal for guests to relax whilst dinner is being prepared, along with the spacious lounge, equipped with modern facilities including a large free view TV, DVD player and feature contemporary fire. 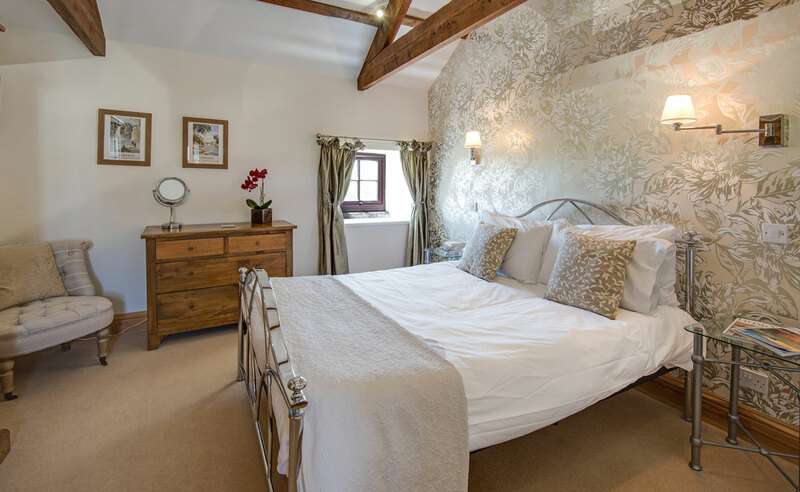 The property has a superb master bedroom with en-suite bathroom, including a luxurious roll top bath and separate shower. 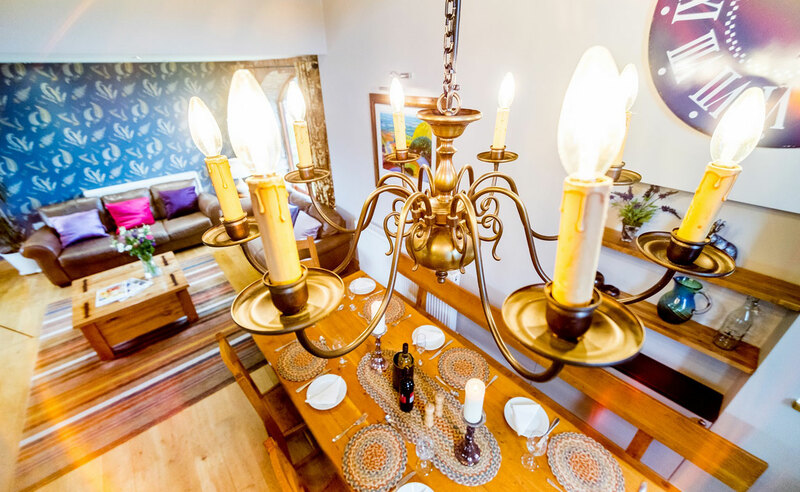 In addition there are 3 further bedrooms comprising one double bedroom, one twin bedroom, one ground floor bedroom, which can either be a double or twin with a zip and link bed. 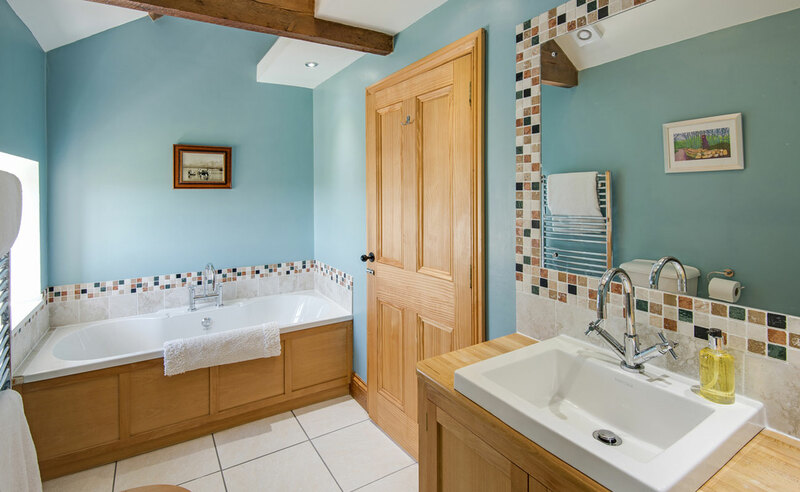 The property is also equipped with a ground floor limestone shower and wash room. 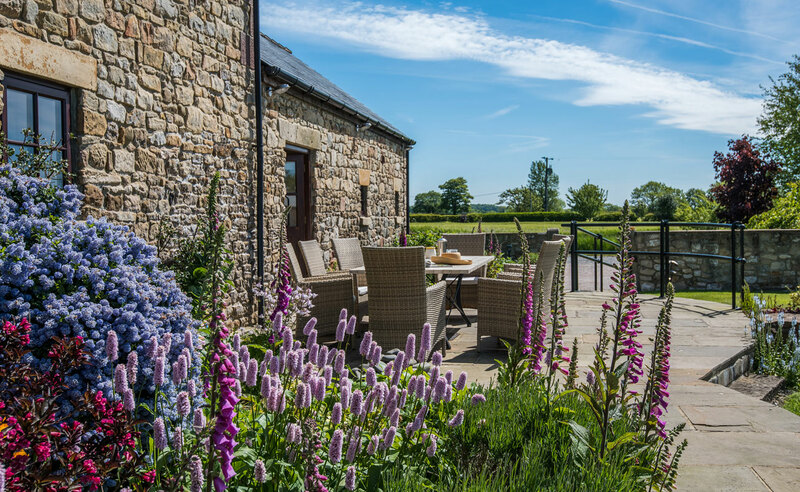 Mill Granary is set in the picturesque rolling countryside Co Durham with spectacular views throughout, with a huge south facing garden set with a large patio area, decking area and finished with high quality mosaic and rattan furniture and seating. 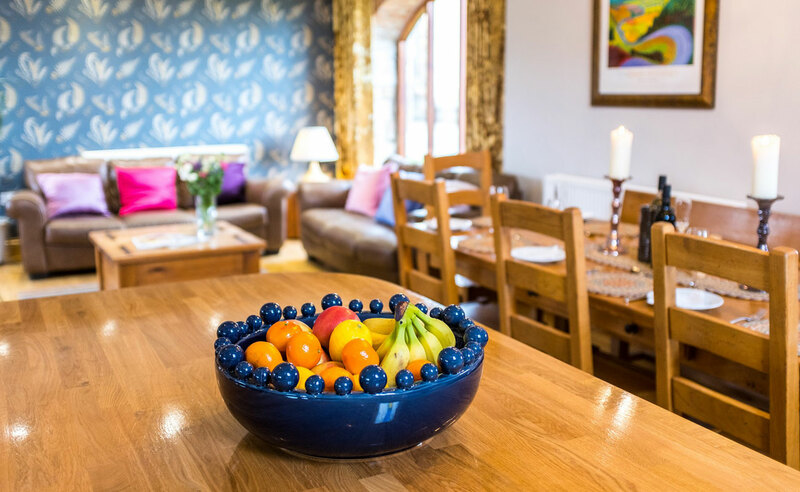 The garden also hosts a children's play area equipped with swings, slides monkey bars and a small climbing wall, with an assortment of children toys and a indoor play area with a table tennis table. Private hot tub to relax, unwind and watch the stars from. 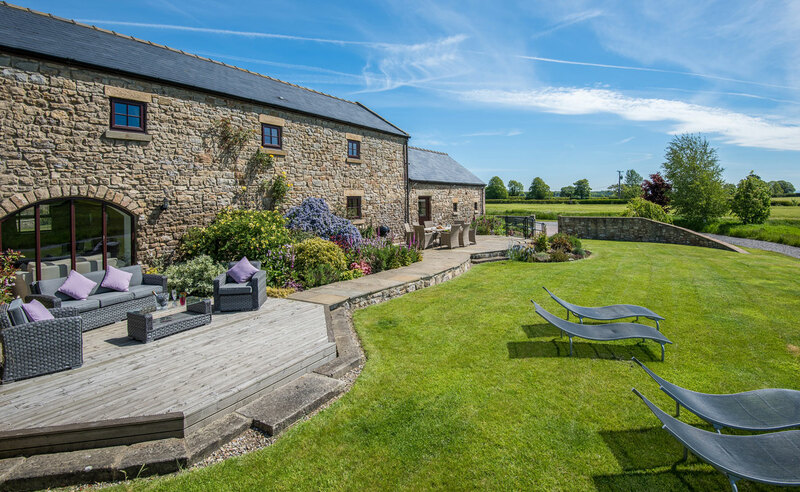 The location of The Mill Granary is ideal for keen walkers and cyclists with a number of routes and walks available directly from the property. Can be linked to the Shepherds Hut for additional accommodation. 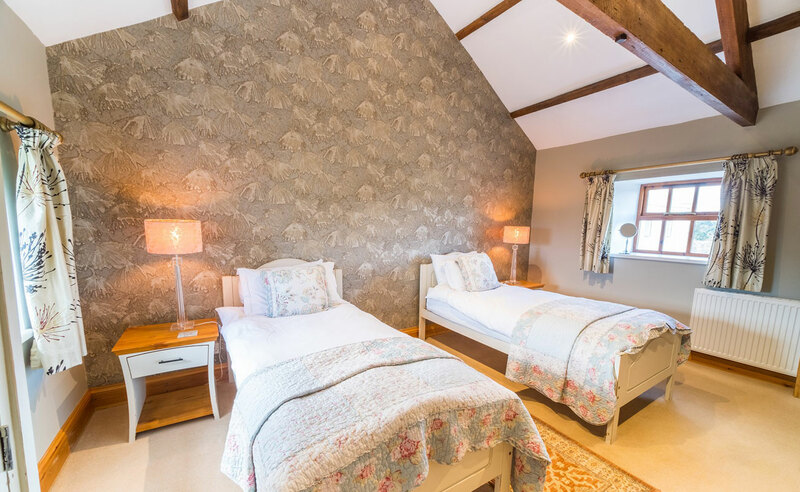 For a complete list of the features and items included as standard with all our cottages please see our What we include page. 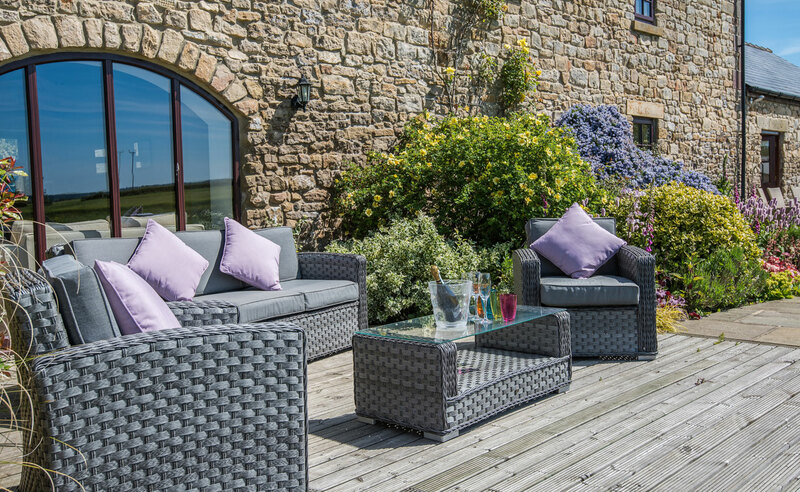 Decking area with rattan sofa, chairs and coffee table. Indoor play area with table tennis table. Children's toys, puzzles, books and games. A homemade treat for your arrival. Free view TV and DVD player in the lounge. CD player, docking station, radio and TV in the kitchen. Cycling and walks straight from the door. 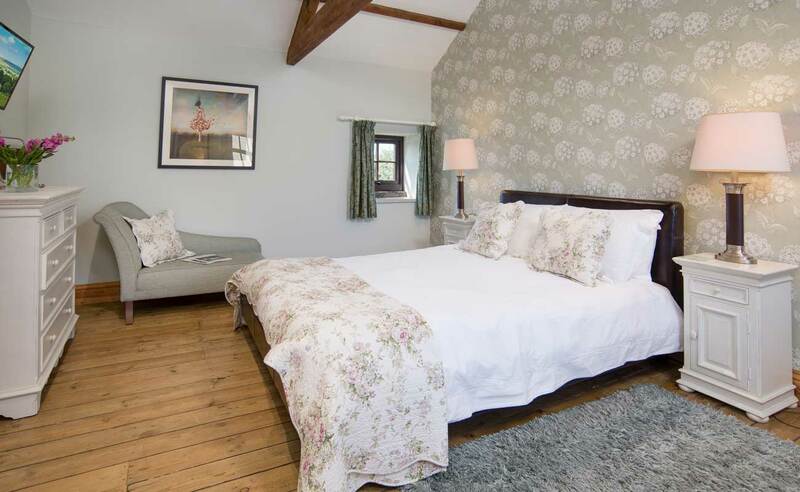 The Mill Granary is graded 5 Star Gold, and is graded M2 accessible under the National Accessible Scheme, meaning that its Typically suitable for a person with restricted walking ability and for those that may need to use a wheelchair some of the time and can negotiate a maximum of three steps. Luggage can be unloaded at the front or back door. Both entrances are level entry, there are six car park places and the parking area has block paving. 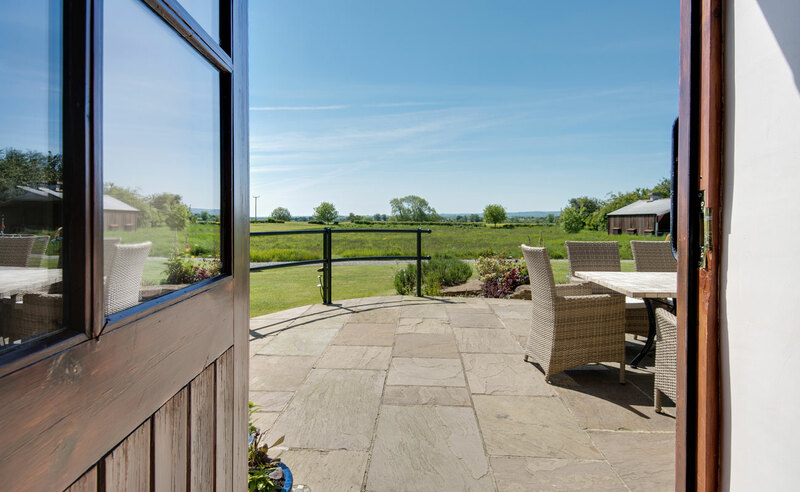 The path ways and patio are stone flagged and also has a circular timber decking area. The front door leads into the kitchen and the back door into the hall way, both have hand rails. 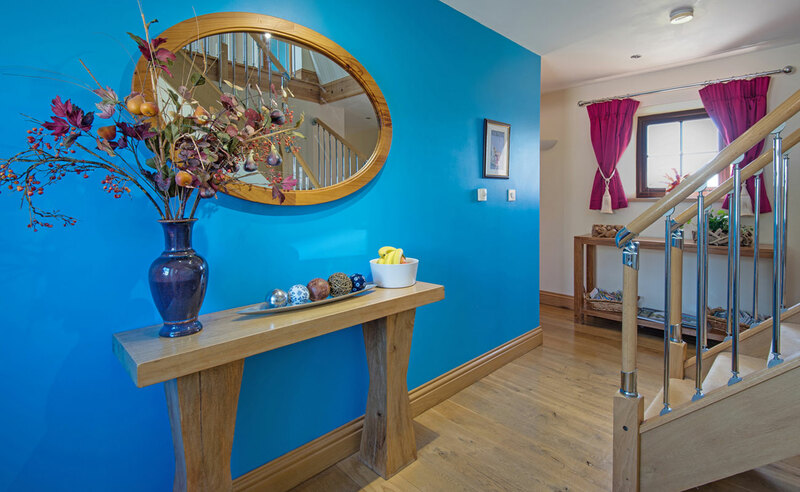 Inside the front entrance from the kitchen is a corridor leading to the lounge, bedroom, shower room and hall way with stairs leading to the 1st floor. 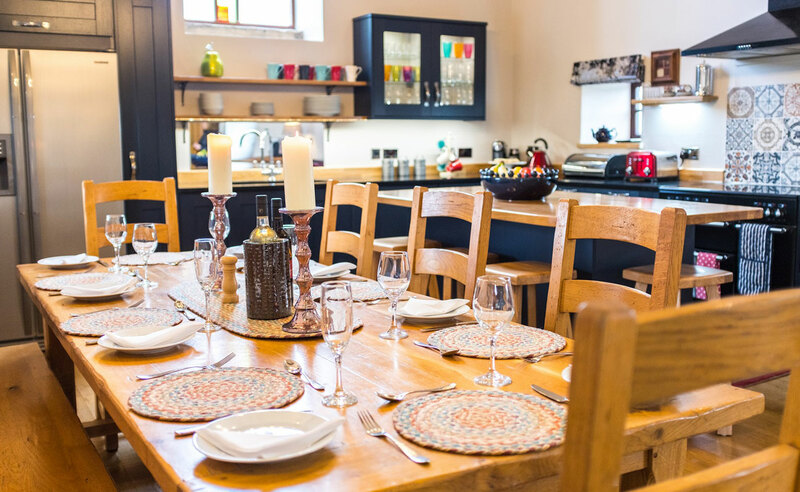 The kitchen has a real oak floor and granite work tops, the table can sit 10 guests and also has a snug area with two sofas and large coffee table. Radio, CD player and USB connection. 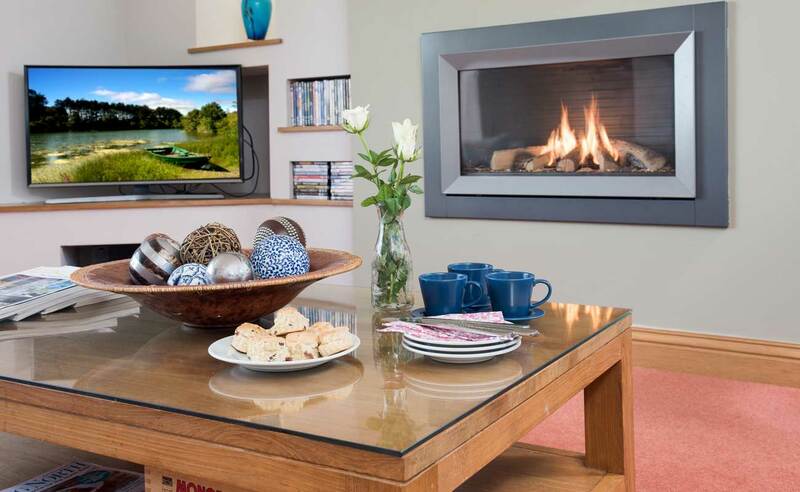 The lounge has three sofas a flat glass gas fire. Free view TV and DVD player. 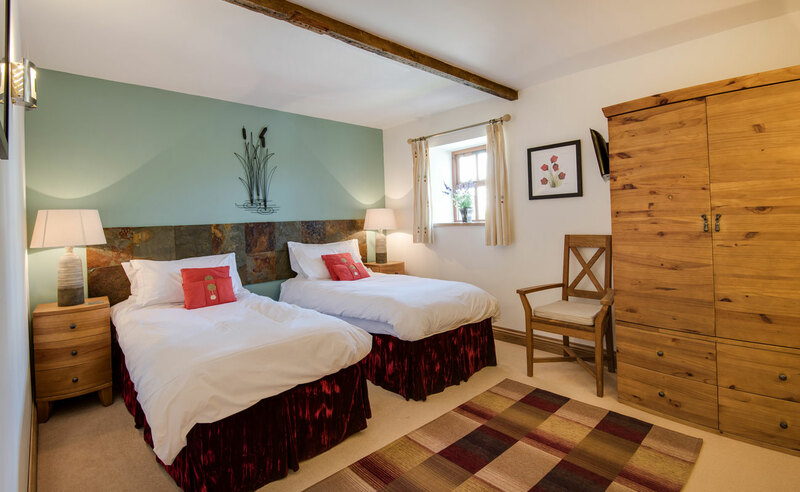 We have four bedrooms, one can be either a six foot double or a twin room with a zip and link bed. 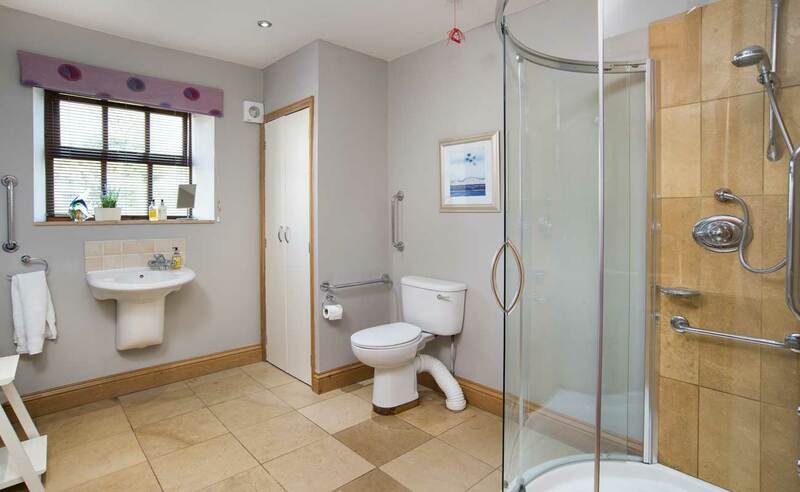 There are three bathrooms one being en suite. 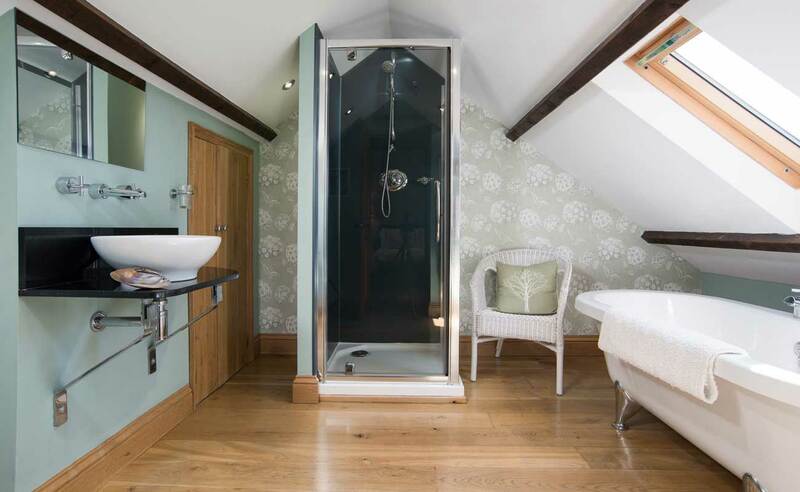 the ground floor shower room is to M2 mobility standard. We have a washing machine and separate tumble drier and an outside washing line. There is a large flat lawn and a one acre wild flower meadow. We have an out door play area with swings, slide, climbing frame, table tennis and swing ball.